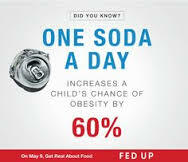 1 soda has 10 tsp of sugar. We should daily consume no more than 4-6 tsp. Junk food companies have to know their products are destructive just like the cigarette companies realized their damage. The deck is stacked against us especially for impressionable kids. All the marketing and junk in schools. Minorities and the poor are targeted even more with junk food. It is an false assumption that one just needs to exercise more to be healthy. Exercise is key but reducing sugar intake to 10% or less of your daily calories is huge. What child would willingly choose an apple over an oreo? Sugar is highly addictive. I as an adult have a very hard time resisting it’s lure so imagine how much more difficult for an immature, still developing child? It’s not easy to eat real food. I can get so frustrated with my kids when they beg for junk or want something sweet. But I have largely been responsible for that. I am the one who buys the groceries. I am the one who rewards them with junk and sweets. I can’t shame them or make them feel guilty. It is my job to model it for them and teach them a new way. 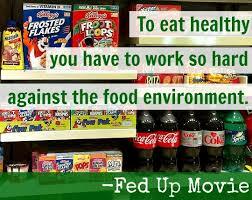 If I want myself to eat less junk and sugar than I need to not have it in our home. The same is true with my kids- I have to not have it in our home so that it is not even an option. I don’t believe in zero sugar or never having sweets. But I would love for it to be more of a treat instead of an all day thing. And I don’t need to announce this shift to the kids, just slowly start having less in our home and incorporating other good things like more fruit, smoothies and homemade baked treats instead of products with ingredients I cannot pronounce. ***I don’t judge others who eat differently from us. I want look through your fridge and pantry. I love a ginormous Mnt. Dew, tub of delicious popcorn and junior mints at the movies too. And yeah you gotta make expectations. For me I would love if we made expectations when we rarely eat out as a family, date night and then Sabbath. oh and parties/celebrations. 😉 I like exceptions. oh, and girls night out. 😉 and vacation. oh geez, this is a slippery slope. hey, I’m trying. 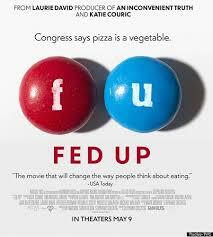 The movie gives the Fed- Up Challenge- to get off sugar for 10 days, avoid processed foods, steer clear of ingredients you don’t recognize, read labels. I think I could do this but I will likely go the gradual path so I don’t get voted out of my family. A riot may ensue if I do this with my family. take the challenge (I’m considering it. It would be amazing if we could do it) I would have to clear out my fridge and pantry first.